I do not consent to your dominion. I WILL ALWAYS BE BORN FREE. Now, get out of my temple! I DO NOT CONSENT TO YOUR PRESENCE in my Universe. Get out now. HaHa Yes! I think Its Perfect! Saying This All The Way Through Without Any Mistakes in your Speech is Very Important. This is You! We wait Yow! With kindest regards! grace and love! I went breathless twice reading this post. THANK YOU so much, Cobra, for this situation report, and renewal of our hope. Be blessed, you and your soulmate, for your missions. And we want to hear from you soon again. The Light is Victorious! Love is opening to all of us AS all of us. Victory of Light! What it is from a 3rd density physics point of view. It may be worth to be taken in consideration, and are we also entitled to consider, that in order to visualize properly the Pink Light, we have to understand it at least in 3rd density terms. So, a proper understanding of it in the earthling physical terms, concerning its visible spectrum, will help us at an unconscious level to visualize what it in fact should be. For the average person might seem very interesting the definition of 'pink sound', definition rooted on the analogy of what is from a spectral point of view the visible pink light. "Pink noise or ​1⁄f noise is a signal or process with a frequency spectrum such that the power spectral density (energy or power per frequency interval) is inversely proportional to the frequency of the signal. In pink noise, each octave (halving/doubling in frequency) carries an equal amount of noise energy. The name arises from the pink appearance of visible light with this power spectrum. This is in contrast with white noise which has equal intensity per frequency interval." Dear Cobra and Isis Ashtara, thank you both for your great job to help people to be free. We love you both and let you don't wait long to see your beloved again. Sorry for your loss cobra, happy to hear that you will be reunited soon. Bless You Cobra. I feel again this weekend heavy attacks on my body. I'm so tired of this. That we have to endure this, I do not understand. This has to end soon. hi 5 my dear! i feel my bodies are dying. Mi dear Cobra, I have no words to express my condolences and compassion for this lost, but to say, thank you for showing your strength and courage to come up even stronger after such event; thank you. 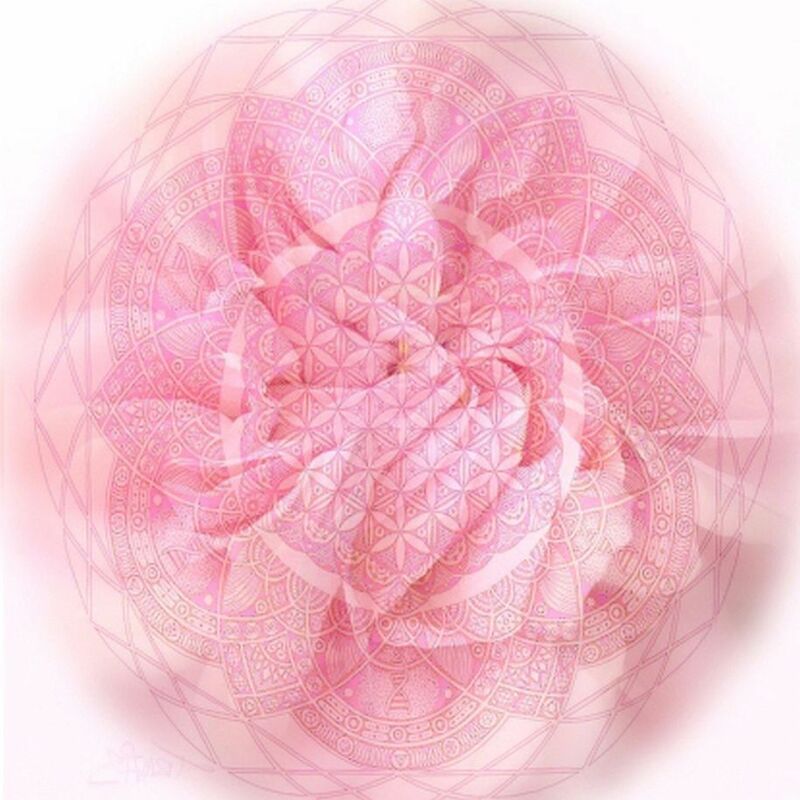 Isis Astara Love is always present and within us. Thank you Cobra, for explaining what happened to Isis Astara and how the liberation process now has intensified. We are all so sorry for your loss but also happy to hear that you will soon be reunited here on the surface. Goddess wants Love and Love it will be. PS, also, thank you so much for telling us how Isis Astara is doing. I’m so glad she is safe, FREE, and living in Love. Someday, I hope to meet her. Gracias Cobra, a pesar de su dolor,sigue trabajando para la humanidad, que su ser superior le otorgue toda la Luz. Good news, it seems. Cobra, I'm glad to know that you will have the chance to unite with Isis Astara again soon in the future. Let's go on! "Mass arrests of the Cabal may, or many not happen." Many not happen? I wonder if this typo is intentional as it could convey a triple meaning similar to the military's unknown unknowns terminology. With the sentence having a typo it becomes a total unknown. Mass arrests may or may not happen OR this intel could be totally false because it says "many not happen." Death is an illusion. Death is just a gateway to another plane of existence. As Isis Astara crossed into the higher planes so shall we if we perish in the coming battle. Do not fear death. What we should fear is suffering because suffering drives souls insane and causes them to flip to the dark side if their suffering becomes more than they can handle. The event should be initiated immediately regardless of causalities. If I am numbered among the dead that does not matter. It is for the greater good. What is important is the suffering ends now. What is important is the event happens now rather than later. I lay down my life in service to the light. This is the role of the divine masculine or the positive masculine energy to lay down their lives in service to others as the great prophets and holy men have done throughout the ages. Service to others and the greater good is the way. May the end come quickly is all I have to say. The Cabal is going to be removed, but might not be arrested to accomplish this objective. 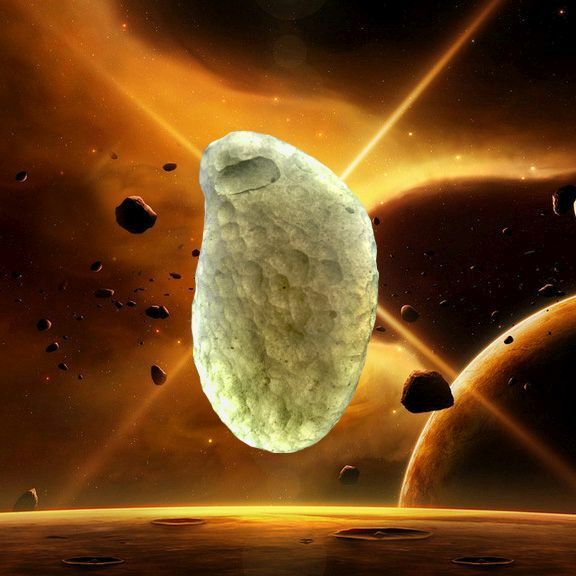 It might be considered too risky to arrest the Cabal and just easier to take them off planet without a public trial, which is what an arrest implies. I completely Agree! INITIATE the Event Now. SO BE IT! I command this so! This suffering Ends tonight! The typo was corrected after I made my post. Cobra, I'm truly sorry for your loss. I do no knows w what it s like to have a soulmate. What I'm about to say may come across as insensitive , but know that none of it is directed at any individual. So you're essentially saying ONE person is responsible for anchoring this goddess energy, whatever it is to the earth. Now that she has moved on, it somehow causes serious political repercussions.. Okay.so is it correct to infer that the anchor is the only person who matters? Frankly speaking I'm sick and tired of this goddess and feminine energy stuff. It seems as if this is all anyone talks about . Balance be damned. I don't want to have to serve gods and goddesses in the next world too. And no, please don't tell me that we're ALL gods, if we were, there would be no need to use the term in first place. Although lady Du Mou is not from this planetary system... she is one good example of a high spiritual being achoring the goddess energy(asisting Gaia). So this is not an issue of pushing for female power to rule.. is about bringing balance that was lost.. within each..
thanks alot. from now on i will watch each of my steps twice. Everyone don't forget get your money out the banks and have food for the reset. May everything flow in abundance so you can bless the ones around you yourself! What a brave warrior you are, Cobra. Even through your loss (glad to see it's only temporary!) you keep fighting the good fight. Thank you and thank you to Isis. OMG! It looks that the Event may happen soon. Thank you, Cobra. I am so glad you will see Isis Astara again, hopefully soon!!! I am doing my best holding and promoting Goddess energy anywhere I can. I do it for myself, I do it for Isis Astara, and I do it for every living being on this planet. ... and relieving information about your soulmate. 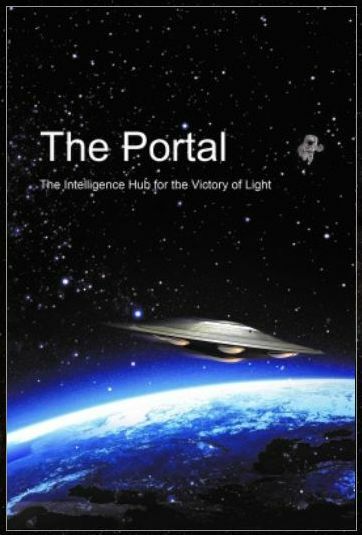 i saw her travelling within a shield of light, that blocked all kind of vicious attacks successfully. Last night there was full scale battle in astral. 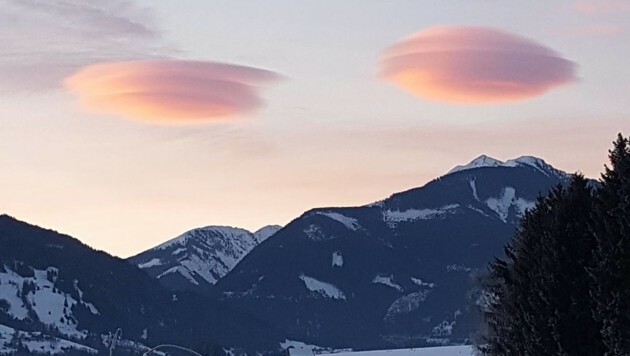 I saw and felt both lower entities and light forces. Lower entities tried to make me feel like i'm a slave then i ran away and banded together with light forces. It is fun actually, like a video game. I feel light gets brighter and presence of light beings is intensified as dark attacks intensified. Call Archangel Michael's blue flame to purify astral entities. Lets focus all of our light to this last battle. Again, something happened that I lost the message I was writing and had to re-write it. This is a second attempt at the message with some of the original content missing, but the message remains intact. "With killing of a key person such as Isis Astara, the hostage liberation has shifted in the final, termination phase. During termination phase, there is swift physical action to liberate the hostages." There are two messages seeded here. 2. This means there is only one possible timeline left for the Cabal with two possible conclusions. A) Accept the light & Surrender within two weeks and be spared. (i.e Mass Arrests) or B) Mass Executions. The choice is yours to make. Either way, your actions will be exposed to the public, but surrender now and your identity & person will be kept safe in a secure location (Gitmo). Maybe you should try to write down the message on a piece of paper firstly. No one will then be able to steal it from you. Thank you. Wow, I didn't think of it like that. It might be very true that the reason they won't be arrested is because they'd be executed. I have an app on my phone. its like an old fashioned dicta phone, just speak into it and your thoughts are saved, quicker than writing things down. I couldn’t have said it better if I tried. 🌸🌟🌸🌟🌸 I’m so sorry Isis. Thank you Cobra and Isis Astara for the extraordinary contribution you are making to our world. You have both endured so much in your private life together. You are two very beautiful souls. Thank you for this detailed Situation Update. It is filled with energy and encouragement for finally realizing the New World we all want and seek. Thanks astral for saying it so eloquently. Cobra, you know you and Isis have "gone beyond the call of duty" and humanity is eternally grateful for you both. I'm glad she can return and live in a special place of light. And I hope you can too. omgoddess i'm so thrilled isis will come back after the event! imagine how cobra is looking foward to it. i am. i will want to meet her cause i've always identified so much with the feminine and i'm practically a great mother full of compassion for every living being in this hostage state. this really was the best news i could have! besides i'm happy and confident it's gonna speed up. it nothing but fair to bring it quick on! With deep gratitude for Isis Astara safe journeying to her guides and here contribution to planetary liberation mission. Its conforting to know your soulmate will return at the appointed time. Bravo to all Light Forces for their steadfast intervention. Tears, more tears, from sorrow to joy. 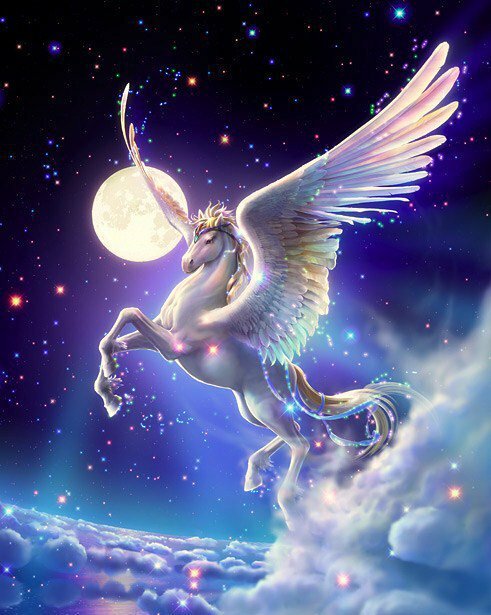 Dearest COBRA, you and Isis Astara are the Wayshowers of The Phoenix Rising. Words can not express the Love in my Soul for you and Isis and for your dedication and sacrifice for the Light Victorious, that we may all experience The New Atlantis. 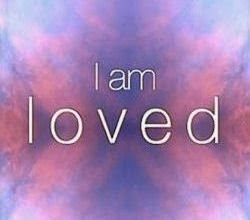 I AM connected to my I AM Goddess presence. 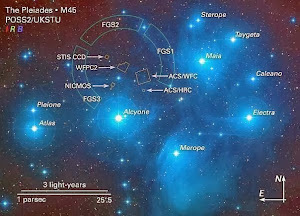 And so much love and gratitude to The Pleiadians, GF, RM Operation Mjornai , and all Light BEINGS working together for Gaia’s Liberation. I'm so sorry for your loss,Cobra💖.Thanks both.🙏. COBRA…..I AM GLAD TO KNOW THAT ISIS ASTARA IS GOING BACK… AFTER THE EVENT…. MAYBE SHE CAN HELP THE EVENT BE QUICK… NO MORE DEATHS OF OUR BELOVED…... DEATH OF ISIS ... ENOUGH. ..VICTORY TO THE LIGHT.TRANSLATOR GOOGLE. I feel your pain, I know your loss. Love IS the final victory! Many blessings to you and yours Cobra. We are ONE! I feel this deeply and also feel a sadness that they attacked your soul mate Cobra. I'm also relieved that she will be back after the event reunited with you and us as a whole. Victory of the light and always sending healing light and love to you and all of us on this journey of liberation. Focused Intent, Love and Light to all! My heart goes out for you, please accept my depeest condolences, Isis was so young and I could see on your shared photo how much you belonged together..heartbreaking.. I also lost my grandma this January, while grandpa had a stroke, both of them intuitive, instinctive light anchorers, very pure and loving humans.. I have the most respect for you for being able to carry on with your mission, truly admirable persevarance from you. Stay safe and Light shall prevail. With love and gratitude to you and your beloved for your service to us. I am so happy to hear that you will be united with Isis soon :D Victory to the light!!! Thank You, Beautiful Man. You have paid the Ultimate price for us all and Your Strength overwhelms all sorrow and Your Love Light Still Shines On! Power To The Light! God Speed The Light! Victory of THE LIGHT! Most of all....please FEEL the gratitude of us all who Love You. MAKE IT VIRAL FOR ALL LIGHTWORKERS ! I cried tears of Joy, knowing Isis's Transistion is Complete & that she and our Brother Cobra will soon again be reunited in the Physical. That is sooo Awesome!!!! And yes, Isis, on a Soul level, probably sacrificed her life to Speed Up The Event for Us All. Cobra, much love and gratitude being sent your way. May the abundant Love of the Goddess guide us HOME... Visualizing and grounding it in NOW. I will do as asked, meditating on goddess energies. Much love to Cobra and Isis Astara. Got some intel regarding something potentially related to the 2/4 false flag and a possible new false flag plot. https://www.reddit.com/r/The_Donald/comments/7v28pz/altleft_will_be_protesting_in_snowmolia_tomorrow/ Far leftist protest in Minneapolis on 2/4. Culminating with a march on the stadium. https://m.youtube.com/watch?v=_BwyUdIV3xY&feature=youtu.be "Next Waco" is on Trump. Likely motive being revenge for releasing the memo. FBI is likely plotting a false flag killing law enforcement officials. Thank you and your beloved from Brazil. Victory of the Light!! So HAPPY to hear that Isis Astara will be back after the Event with a cloned body. It doesn't surprise me, that she was attacked so brutally and that her heart couldn't make it, since a lot of very important female key ligtworkers where attacked within the same timeframe last week and most of them had almost heart attacks, followed by constant energetical attacks at night which are still continuing. Regardless of the ongoing attacks our sisterhood united and together we did the required healing meditations for Isis Astara. 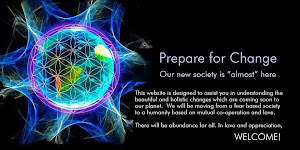 Within the last two days we felt and we saw ( we are all highly clairvoyant and gifted with all kind of spiritual gifts and "weapons" ), that everything was o.K. with her and that she had arrived safely in the realms of light. With tears in our eyes we saw her and she told us, that she is o.K. We are sending you lots of LOVE Cobra, our dear Brother. Words can not even describe our deep feelings for the liberation of planet earth. Divine will will be done. Thank you Dear Cobra for all you have given. It is deeply appreciated. infinite gratefulness. You are the light beacon in the darkness. does that mean no Qanon or meganon discussions? Interesting question, penny and brandon. Meganon hasn't been around for a few weeks at least. Q has been quiet in the last few days. I'm also thinking when Cobra says we need to increase our forgiveness and love, perhaps he is referring to this situation (esp. right now in the US) with "THE MEMO," with people being exposed all over the place. (Problem of course lies on both sides of the aisle in the US -- the Demo vs. Repub. is a phony construct). Also, Q has reported recently about so many "big shots" who have stepped down from their jobs -- across all industries and organizations (incl. government). A big guy at SONY very recently stepped down, for example. The energy is definitely up! Sorry for your loss, my condolences to you! Victory of the light! I guess now moving forward, we will know who the false actors are. If the intel is on lockdown, we wont see any legitimate insiders talking anymore about what’s going on, right? I realized that I neglected to include my condolences for what happened with Isis. I guess, I just know cobra and Isis will be okay and always together. and the year of joy. It was the year everything changed." Hi Jonathan. I do hope you get guided to create another one of your films. They are so inspirational, I like the humorous ones too. 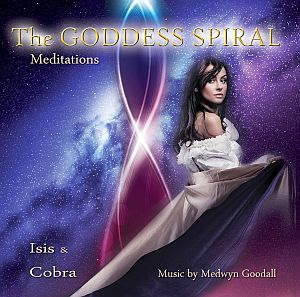 Peace and Blessings to Cobra and Isis Astara, for your sacrifice in bringing us closer to The Event. We are indebted to you, and look forward to your reunion. I was so sad about your loss of Isis, thank you and her for your lifelong dedication at our liberation. But now that you will be reunited with your great love I am so happy. Bless you, the Light Forces and RM. Your precious leadership has inspired me to do my best to follow your request at anchoring the soft, patient, forgiving, love of the Goddess energies, now and forever. To speak those words.. OUR LIBERATION.. feels even more real now after reading this report - we are almost there!! And tonight, for the first time, I was actually able to break through part of that wall of denial my daughter has put between us, regarding the truth of the planetary situation humanity faces here... I was emotional but brief, not overwhelming her with alot of detail, and for the first time, she finally listened without shutting me down! I assured her that life was going to be SO much better for everyone very soon, with a beautiful future that she couldn’t even imagine yet, just around the corner. I thank the Divine Feminine presense for softening her mind and heart in that moment, allowing her to be receptive of what I was saying. My heart is full with gratitude and joy. 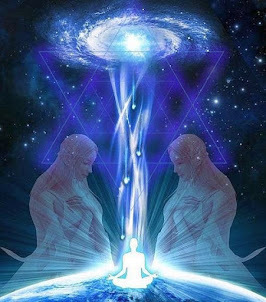 We are ready to go through this transition and help to stabilize the situation.. Let there be love on earth ❤ Victory of the Light! Vitória da luz!! Freedom! Forever... Om Isis Astara Namah. Vitória da Luz no nosso Brasil! Does anyone know if there are Toplet Bombs in the upper atmosphere- surface- underground? Are all TB’s in space? This is very important data! Please post a link if cobra has shared anything like this . Much love and light to every party of this "war". Don't forget to love the bad guys too, that's part of unconditional love. Light ALWAYS win and corruption is always repaired and return to light. By focusing all their attention to hating love, the "bad guys" worship love without knowing it, that's how corruption is repaired, that's how light always win. Oh Thank You Thank You for your generosity in sharing this with us Cobra. Your kindness knows no bounds that you have cared so much to reach out and comfort those of us traumatized by the news of your loss. You are the very finest of souls, the one I trust above all others. I'm so happy to know she made it! Oh Yea! Great News Cobra all round. Soon the whole World will be getting a big "WAKE UP" call, when the Knights of Light come bursting through the veil to deliver Our FREEDOM! Peace and Love be with you Cobra. May you feel blessed. Thanks for all you do. Ahhhhh Cobra my brother, this is the best news I could have heard. I've been feeling it, this just corroborates what I've been sensing. Let's "git 'er done"! This has been so physically draining there are days I can barely get out of bed anymore. My sentiments exactly. I know the feeling. Cobra, your loss is, as you know, a temporary one, that will yield total peace and happiness for both of you. Cobra- my sincere sympathy for your loss. I'm delighted that you two loving souls with again be united. Upon learning of Isis leaving the earthly plane my Empathic soul was grieving with you and sending love and compassion to you Cobra....bless you brother and thank you for all you do and your unwavering devotion to our liberation. With great love and light for all. It is so reassuring knowing that Isis Astara is happy and will be blessed to live her dream. She and I assume you, too, Cobra have been subjected to the harshest treatment simply because of who a person is. After a long journey through many lifetimes fraught with overwhelming challenges, the oppressed will finally know Justice and Freedom. My words fall short of expressing the Miracle of Liberation that is unfolding in the exopolitical realm. Soon it will come to our surface world. The promise of a New Life will be more wonderful than I can imagine. It didn't have to come this far. But predictably the only tool they have is pain. It didn't matter she was attacked, this place is an attack. good to hear about Isis. Curious as to why Cobra says we will be notified of the Event through the mass media. I thought we would percieve it instantly through the flash/pulse from the GCS. He means the rest of the clearing of our dark brothers, of course you will have the galactic wave that's after they are dealt with. I think some of us will be notified with a "big buzz." Are you familiar with those lighted, buzzing things that restaurants give to you, when they are crowded? They give you a buzzer that BUZZES when your table is ready. I think we'll all be buzzing. The cintamani stones may play a key role at the time of The Solar Flash. They may serve a function that is akin to the example Megan has given. Oh, that reminds me: I need to re-order, yet, another one. I already planted (uhh, lost) my first two stones. Nice and funny analogy, Megan. We'll most certainly be buzzing. All lightworkers/warriors can agree that enough is enough. We've all experienced the brutal attacks that these scalar weapons have inflicted on Isis Astara, as well as many other lightworkers/warriors. I can attest to this with my own personal experience with dealing with these horrible energy weapons and harrasment. I remember a particular moment in times past when these attacks were quite constant in occasion. Oftentimes, it felt as if my heart would burst as it pounded and I felt extremely fatigued and struggled to move around. I remember walking into a room and hearing a comment from someone as I suddenly walked in that their heart started to hurt. I've had random phone calls in the early hours of the morning and middle of the night harrassing me and keeping me from getting sleep. I remember putting one phone on silent as it stopped ringing only for the other one to start ringing moments later (I own two phones). I remember seeing a big white trailer truck parked blocks away, positioned directly in front of my house through my window in the middle of a residential street. What is a trailer truck doing parked there, let alone in front of my house!?! I remember having cars with fully tinted windows suddenly slow down as they approached me, come to a complete stop then drive slowly away as I walked along the sidewalk. What i'm getting at is, we've all experienced some form of attack one or another by the cabal. We can all relate to our lovely resident goddess Isis Astara and the gull they had to take her away from us and are equally apalled by the fact that they succeded in doing so. It's great news and music to all of our ears to finally have the much awaited confirmation that operations have shifted to the final gear. With that, we applaud & thank all of your efforts, Resistance Movement/Light Forces/Light Alliance/White Hats/Positive Military etc. and especially our esteemed Host, Cobra for providing us valuable information, giving us much needed Hope & preparing us for The Event as best he could. We look forward to the day when our children will be able to walk the Earth fearlessly, with pride & integrity to do as they please without us having to stay up all night worrying wether we'd lose them or not. We look forward to the day when we will be free of all debt. We look forward to the day when we can embrace our galactic brothers and sisters in the flesh. Finally, We look forward to the day when will be free from pain, suffering & lack and get to live as a happy people!! We stand ready and at your disposal for the final push. Call on us when you need to. We Will FIGHT!!! Victory to the Light. Sending Love all over the Planet. Much love to the Resistance , Light Workers and Light Warriors . 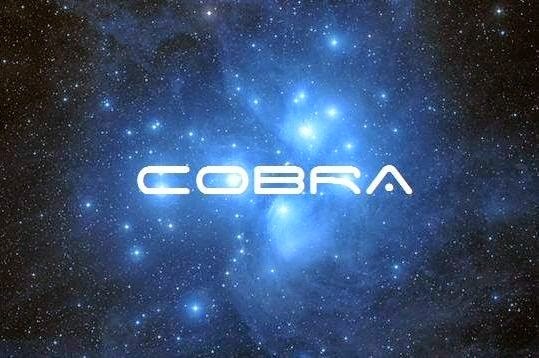 Cobra you are not alone we All of Light stand by You. To All our Star Brothers and Sisters out there Thank you for Your Dedication and Love. Isis Astara you will never be forgotten much Love to You too. Here is the guided audio for the Weely Liberation meditation recommended by Cobra in the past, which is now replaced by the Weekly Ascension Meditation. 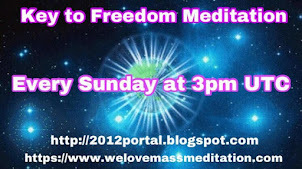 The instructions on how to anchoring the Goddess Vortex can be found in the video at 5:55 minutes mark. You can do this at any time or after the Weekly Ascension meditation. Thank you, Mr. Springsteen - The Boss. Is it too early to begin celebrating? Somehow, I don't think she'll mind. very sorry to hear of your loss Cobra and wish you a return to a self in balance, positive and inspired. Thank you too and the LF for the brave work in liberating Gaia and her life beings of many many sorts. Thank you so much, dear Isis and Cobra and all the Light-workers.. Victory of the Light and Love!!! "Mass arrests of the Cabal may, or may not happen." So there won't be public trials of the Cabal, and the Cabal will instead go immediately to the Galactic Center? "You will be informed about the Event operations in real time as they happen, through the mass media." I'm wondering whether the news will be galactic in origin or not. Whether the news presented will inform people that extraterrestrials are here to assist or not. To summarize for people in case it was unclear: Next two weeks galactics will clear hostile outer space sources (complete by February 17th-18th). Then they will clear underground sources (most likely done by early March) which will result in the completion of Compression Breakthrough. Then surface operations (the Event) will happen. Did I miss anything? What else should people buy my fellow lightworkers? For those prepping... dont forget to add extra for strangers... just saying... if u can afford it of course. Thank you, Deep Gratitude Cobra and Isis for everything you do for us. I'm happy, happy, a huge brother joy that Astara returns after the event. The Goddess wants Peace and so Is! Let it be light in everything you do, Cobra, RM, Plenadiens and all the ambassadors of light. We're supposed to be inside the Photon Belt now. Isn't this destroying the dark forces? Truly sorry, but unfortunately it seemed to have to come to something like this to happen......... but we all could not take anymore........Go get um and lets finish this! This message also resonated. I enjoy listening to Natalie's voice as I read. Her words and spirit are so gentle and wise. "... the original plan for the Event has been expanded and is now more robust. Top brass in Positive Military (i.e., at the geopolitical level) in USA, China and Russia have been contacted and given instructions." We are witnessing (and contributing to) history in the making. Soon to be The Greatest Story ever told. Thanks to the Influence of The Divine Feminine for gettin' the job done. 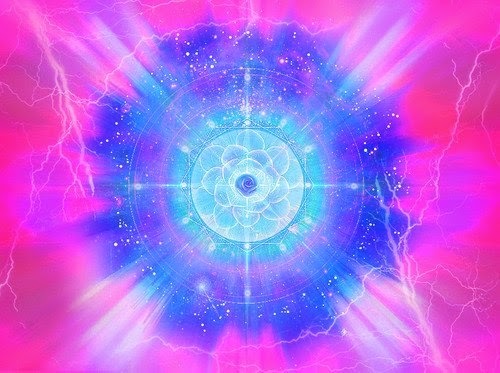 As a Clear Channel for Love, her Resonant Energy is even Greater now than before. thIS IS The Beginning... The Quickening. Having risen to the occasion by Serving The Greater Good. The Path of *The Advanced Initiate* . At least we succeeded on helping her be with her ascended masters. I am very glad to hear that you, CoBra, will be reunited with her (physically) after The Event. Awaiting Goddess energy anchoring instructions now. Courage my brother, we are going to win the battle together! Victory of the Light and thanks for this good update! Dear Cobra, I am so sorry for your loss!! It must have been very horrible for you to go through that! The Dark Forces are very concentrated on attacking and destroying the goddess energy. I am glad that you are staying strong; I will try to stay strong with you! The Victory of the Light is very near! Thank you and Isis for your selfless service to us. Goddess sweet will tells us, if we keep on our path with determination and discernment, allowing for the natural course of events to unfold, success is assured. Goddess wants Love and Love it will be !!! Estamos cansados, as forças trevosas, a Cabala drenaram as nossas forças. Agora não necessitamos apreciar julgamentos em tribunais, para punir os trevosos. Já está suficiente visto e provado o que não tem recuperação, quem não aceita a Luz, e, luta e continua com as atrocidades, para manter o império das Trevas. Portanto, faz-se necessário a aplicação do método da execução da cabala. Não quero morrer nas mãos sujas de sangue da Cabala, o que tantas vezes tentaram. Por ser uma trabalhadora e guerreira da luz. ALL BEINGS HAPPY. ALL BEINGS FREE. This is my constant prayer/affirmation/intention. Blessings to you Cobra and to all Light Forces participating in liberating Gaia Earth Mother. Our candles will burn with Pure Love and Light...Oh, sweet Victory of the Light keeps beckoning us on! It is interesting that there are Trumpet satellites. Check this video out from Kim Clements prophesying in April 2007 that "Trump shall become a trumpet." Not sure about the Bill Gates prophesy, but stranger things have happened. The following I put forth in the spirit of sincere inquiry regarding the toplet situation: My apprehension of the situation may lack subtlety here, but I'm having trouble understanding the real nature of this toplet threat. An intervention on the level of helping Isis would cause toplet retaliation. But breaking into middle orbit and wiping out the draco fleet somehow will not. And the bigger question; If the toplets have been peppered all throughout the earth's atmosphere for the purpose of an invasion deterrent, why is the chimera allowing them to be dismantled systematically, are not the toplets there to be detonated when invaders start to overwhelm ? A fuzzy logic algorithm decides when the bombs go off. My thoughts and prayers are with you Cobra. Losing your soulmate can be highly intense. I know when Julian passed it was a major cosmic activation, one that is still reverberating through me to this day. My love and appreciation for you and be well in this time of transition. Thank you for the update Cobra, RM and the Light Forces. We now go radio silent. I am really excited for this news! I just hope everything goes according to plan. It feels like earth could be a dangerous place in the next few weeks, because the light forces take a less cautious attempt in rescuing the hostages. I hope we are not in danger here on the surface. Or should we maybe avoid crowded places? What I don't quite understand.. Aren't there still toplet bombs around? Won't the negative ETs trigger them when they realize they are being eliminated? Are the toplet bombs still unarmed? Jesus Christ! This is getting exhausting. I want to go to war with these fools but i know we must forgive them. It's perhaps one of our greatest challenges we face as a collective. VOTL, Cobra. Just felt a rush of energy throughout my entire body, like an electric shock which startled me. It was quite strong. Something indeed happened. I think that one of these "veil generators" got taken down. It's quieter now and my head feels clear for like the first time ever. The ambient background noise (silent ear ringing) has subsided to a great degree. It felt as if the center of my body recieved a jolt of energy, like an electric shock that spread throughout its entirety. I definitely felt a dramatic change this time. May the One Infinite Creator's eternal & healing warm light of love, guide you & protect you. Victory of the light! Beloved Cobra. You r Strong. Some kind of etheric or plasma clearing took place didn't it? It feels like a great amount of negative plasma anomaly was removed. Did Phase III of Mjølnir go off? It would explain the sudden shock of energy I felt which almost knocked me back. It was like having one of those electric shock pens or fake electric joke gum packs go off inside the center of my body (chest area) and spread throughout the rest of it, very odd indeed as I have never felt this type of energy before except during meditation. It was quite a strong & startling sensation. May you feel the warm healing love that is the Light of the One Infinite Creator.